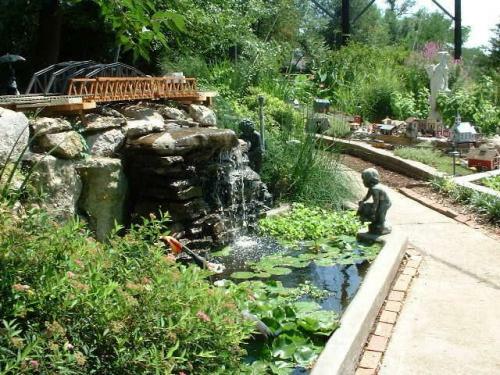 Five years ago, pond and garden tours seemed to be all the rage. Not a week would pass where I couldn't find a tour of some kind to fill my weekends with entertainment and inspiration. Perhaps people have become too busy, are too nervous people won't attend due to the economy, or just don't have the volunteers to host the event. Whatever the reason, bring them back! I'm ready for some first-hand inspiration, seeing photos on the internet just isn't the same. In the meantime, I'll have to travel if I want to attend an event. Keep an eye out for a tour in your area, and go see some gardens in person. I did find one organization hosting an event this summer that I've attended in the past, check it out if you live near Kansas City. There are quite a few gardens around here that used to do these tours on a regular basis. Sadly not enough people were visiting due to the credit crunch and now their open days have been severely reduced in number. Sad to say this was the last year of the Seattle Flower and Garden Show. My first orchids were bought there. Guess they couldn't find anyone to sponsor the event. On a happier note, I am going to a plant exchange tomorrow morning. A co-workers neice organized it. Only have to bring plants to share. Have my car pack with plants and am ready to roll in the AM and am hoping to bring back something new.